An increase in new developments and land sales has helped Dubai’s property market post a strong rise in transactions and turnover in the first half of 2017, suggesting last year’s slide may have bottomed out as developments accelerate ahead of Expo 2020. Property transactions between January and June totalled some Dh132 billion ($35.9 billion), according to the Dubai Land Department (DLD), a 16.8 per cent increase on the same period last year. The number of sales rose by an even stronger 25.9 per cent year on year (y-o-y), from 28,251 to 35,571. The value of transactions in that period eclipsed the 2015 figures of Dh129 billion ($35.1 billion) and has brightened the outlook for Dubai’s property market after a reduction in trade in the first half of 2016. However, prices in many market categories were more muted, with most residential property segments recording either small gains or retreats. According to real estate consultancy Cluttons, capital value in the freehold residential segment slid 0.9 per cent in quarter one of this year, though this was a significant improvement on the 8.8 per cent drop seen last year. Such price stabilisation highlights the increasing maturity and resilience of Dubai’s real estate sector, which added 13,000 new residential units in the first half of the year and has so far absorbed the increase without any significant fluctuation in prices. Rising transaction volumes mirror an increase in the number of new developments in Dubai’s property market. Sixty eight new real estate projects with a combined value of Dh21 billion ($5.7 billion) were registered with the DLD in the first half of the year, a growth that Sultan Butti bin Mejren, director-general of the department, attributed to an increase in investment from overseas buyers. “Dubai is witnessing increasing interest from international investors, which has reinforced confidence in our real estate sector and its future prospects,” he said. 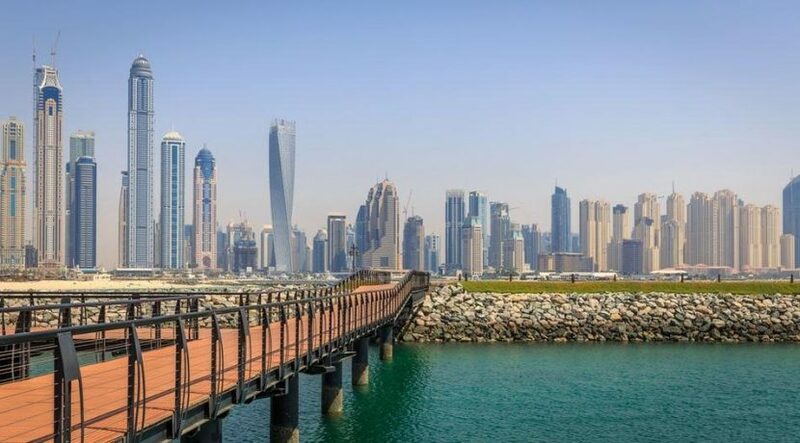 In a sign of Dubai’s international appeal, DLD data showed that in the 18 months to June 30, buyers from 217 countries acquired real estate in the emirate. 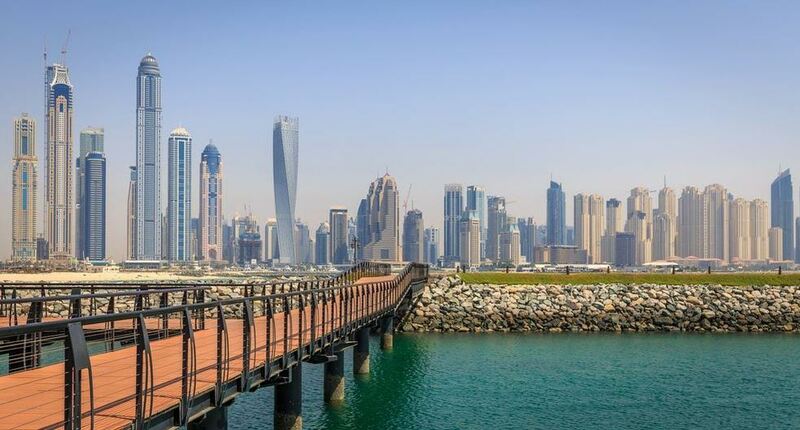 Real estate activity was largely driven by investors from within the UAE – who were responsible for 4,510 transactions totalling Dh15 billion ($4.1 billion) in that period – but demand was also strong among non-nationals from both the GCC and beyond. Investors from Saudi Arabia accounted for around 2,000 transactions valued at Dh4 billion ($1.1 billion). Meanwhile, the top five investor nationalities in the non-GCC, non-Arab category – India, Pakistan, the UK, China and Canada – spent a combined Dh28.6 billion ($7.8 billion), according to the DLD, a 34 per cent y-o-y increase. While prices for developed properties remained steady between January and June, the price of freehold land in Dubai jumped by 13 per cent as developers increased their stock, new projects launched and serviced blocks in established districts filled further. Land sales accounted for some 8,000 of the more than 35,000 transactions recorded in that period, generating Dh91 billion ($24.8 billion) of the Dh132 billion total traded, indicating strong investor expectations for future development. Over the past 14 years in Dubai, returns on land transactions have outperformed those for residential units by more than 50 per cent, while property values in freehold areas have remained largely flat, according to a July report by real estate analysts Reidin-GCP. Industry analysts say the increased demand suggests there are significant opportunities for both investors and developers to expand their involvement in the sector. The recent rise in activity could also indicate developers are looking to boost their property portfolios ahead of the next demand wave: several forecasts suggest that the Expo 2020 event to be held in Dubai will further feed appetite for real estate, pushing up prices and boosting returns for developers with existing stock.